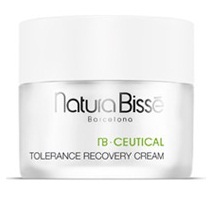 Without a doubt, I must restock my Natura Bissé NB•CEUTICAL Tolerance Recovery Cream ($155) during Beauty Event at Neiman Marcus. My first jar was a gift from Natura Bissé. 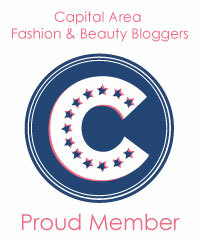 It became an essential component of my skin-care routine. Now, I'm bereft because I ran out of it last week. I had scraped out the last bit of usable product from the jar, and I'm left longing for another. That's my definition of an essential moisturizer. Just as bad, I ran out of Natura Bissé's Eye Recovery Balm this week. I'll be buying that too. These two products are perfect for sensitive skin - all skin types, really - and they fall into my heavenly category. Tolerance Recovery Cream is a rich and luxurious emulsion that provides extraordinary hydration; it instantly melts on the skin, deeply infusing it with an unprecedented nourishing and refreshing (slightly cooling) sensation. It's intended to be used day and night, but I love to apply it before bed, knowing it will rev my skin overnight. I have worn it during the day. It's perfect under makeup. This lavish cream is formulated with Pro-Tolerance Peptide Complex, which includes 30 targeted ingredients. It provides the skin with a youthful appearance and improves the skin’s self-defense mechanism. It contains properties to restore the skin’s hydration levels while soothing, regenerating, and protecting. Do you ever feel like you're drier at the end of a day than you were in the morning? That's one reason I give my skin a big "drink of water" when I go to bed. Tolerance Recovery Cream is great for all skin-types, but especially for the most sensitive and compromised skins (e.g., after a procedure, sunburned skin, dehydrated skin). The benefits you can expect follow in no particular order. 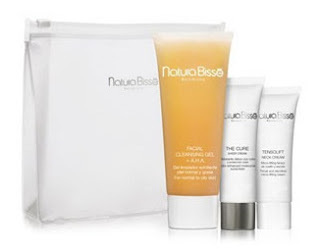 The NB•CEUTICAL Collection by Natura Bissé offers pro-tolerance and intensive recovery solutions. The line contains protective and recuperative products to help the skin increase its tolerance to internal and external elements and enhance recovery when affected. I love everything I've tried. I desperately want to try the Lip Recovery Balm, so I'll probably buy that too. I've been using the Tolerance Cleanser, but it's a big tube and I'm not close to depleting it. So little of the product is required to thoroughly cleanse my skin. I keep that one in my shower. and a Natura Bissé White Frosted Bag, which looks useful even if not exciting. I want the gift! If you have any questions about Natura Bissé, call Denise Thomas at (703) 761-1600, extension 3279 or 3288. Or you can e-mail Denise at denisethomas744@aol.com (I have permission to post her e-mail). Do not settle for a sales associate who would "love" to help you help her meet her goal for the month. Talk with Denise, the expert. The Tysons Galleria store plans to host another Pure Air Bubble Diamond White Facial. I can't remember the approximate date, but make sure to mention to Denise that you are interested if you live in the DC area. The "bubble" is an experience you must have - at least once in your life. 38this line sounds positively wonderful. Beauty Collections had a facebook party last night where you could ask questions. They had a video of all the stars that use the product. I only wish I had the funds to try it. It's so high priced that I think only the stars can afford it. The serums can run upwards of 700.00 or more. Wish I could try it. I want to try the eye recovery. I have allergies that are really bad. It would be wonderful to see if it helped calm the skin around my eyes down. Love the reviews. EVERYTHING I use from this line is fabulous. Yikes. I understand. I think twice about $700 products, but many of the nb-Ceuticals are reasonable. Hi Charleston Girl! A bit off the topic at hand - I take very good care of my skin and always use sunscreen. However, as I get older, I am noticing increasing discoloration in my lower cheek area. 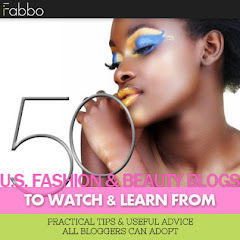 You have such beautiful skin - do you have any suggestions for effective products which even out skin tone? Thank you! Yikes, Nina. Usually you get the damage on the tops of the cheekbones. Have you tried any of the lightening/brightening serums? That's what I would do first. I'm sure Denise is great but I've gone to a different Natura Bisse counter, like at my local Space NK and I've found their service and knowledge quite helpful, especially when I wanted to try the new Diamond White collection. I don't think they were trying to sell me to "make their goals", in fact it was the opposite.